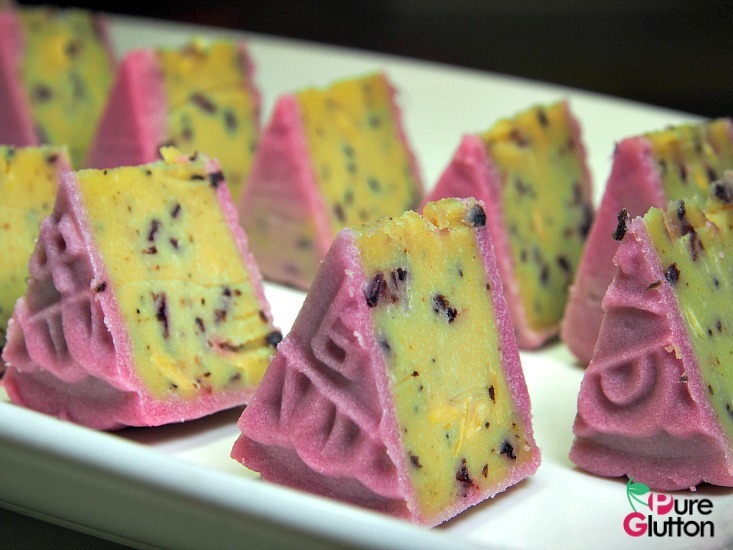 For the past few years, I have always been on the lookout for Concorde Hotel Kuala Lumpur’s mooncake promotion. 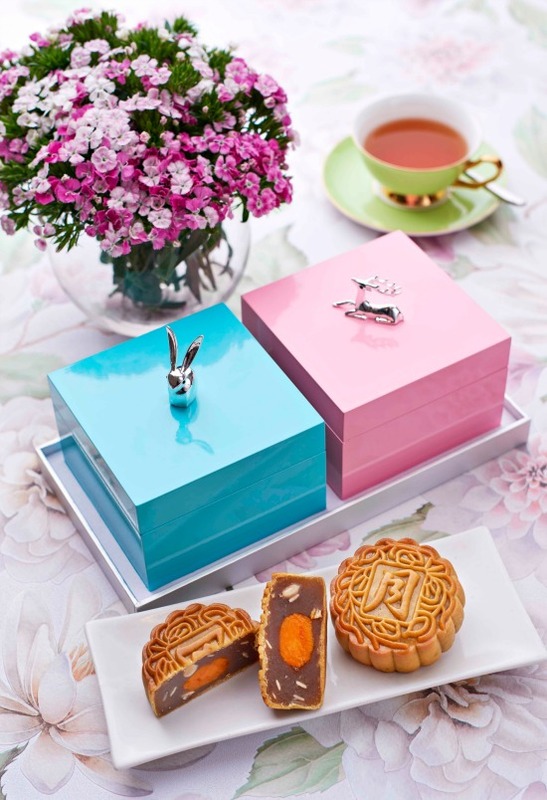 Their packaging has always been impressive and demand for their mooncake boxes have been tremendous. Long after the Mid Autumn Festival is over, the lovely boxes are kept and treasured as decorative items. 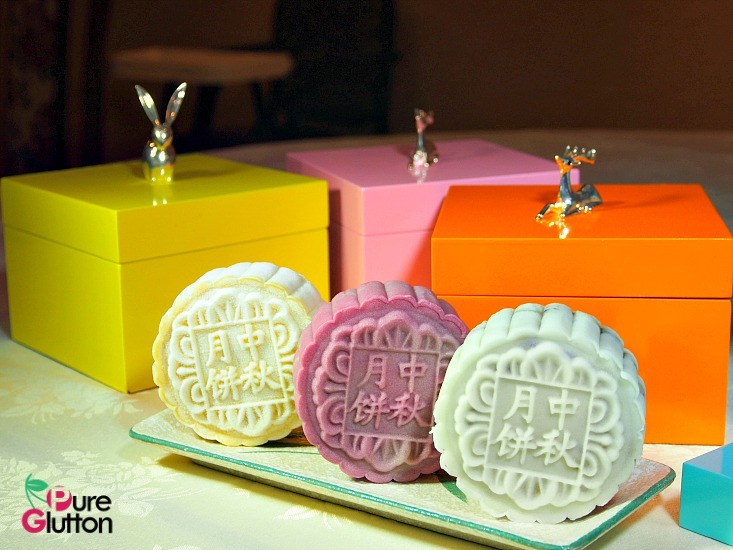 This year, Concorde offers a contemporary take on their mooncake packaging. 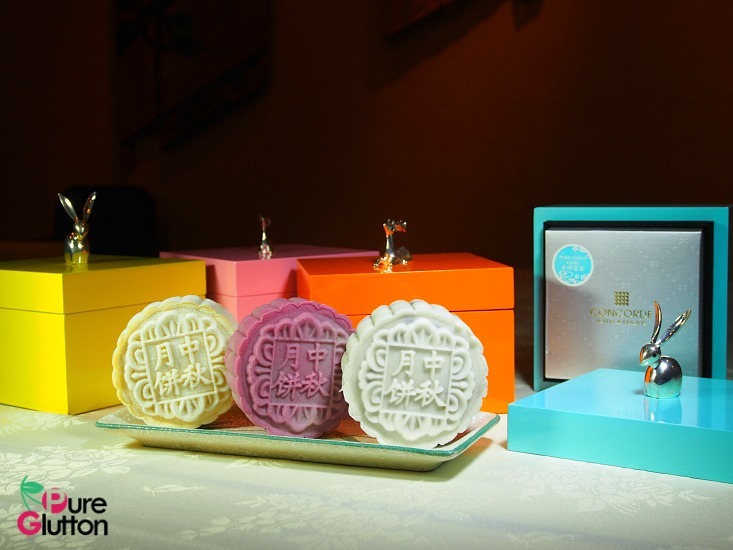 There are 4 different colour boxes making up their “Colours of Mid Autumn” mooncake promotion. 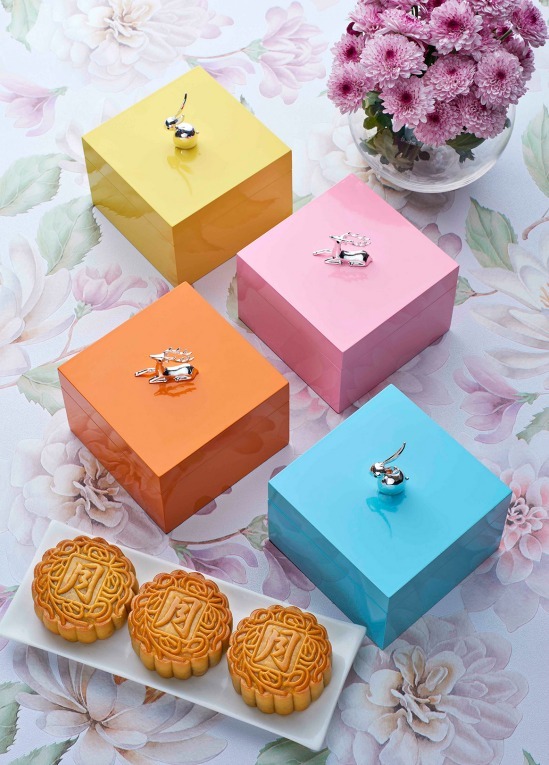 With a shiny lacquer finish, the pastel pink, blue, yellow and orange boxes are adorned with cute silver rabbit and deer figurines. Any of these beautiful boxes would look good on your dresser or desk! Each square box is filled with a 180g mooncake. 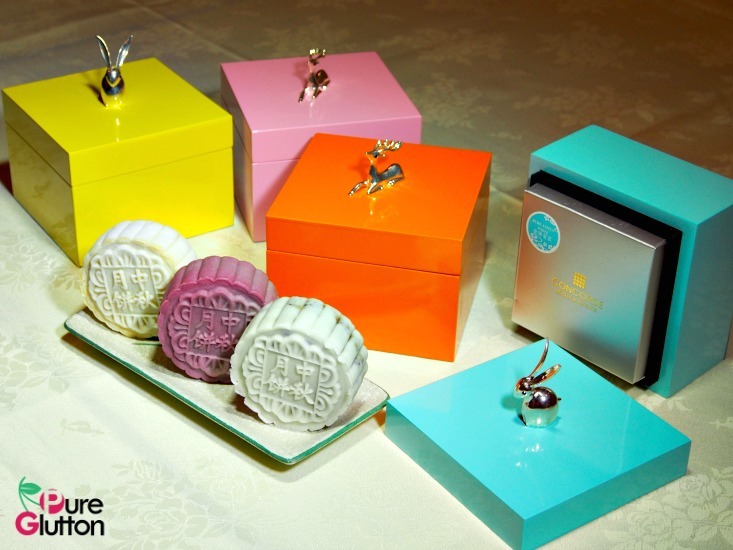 The gift boxes with baked mooncakes come in 2 sets: RM88 nett for 2 boxes and RM148 nett for all 4 boxes. 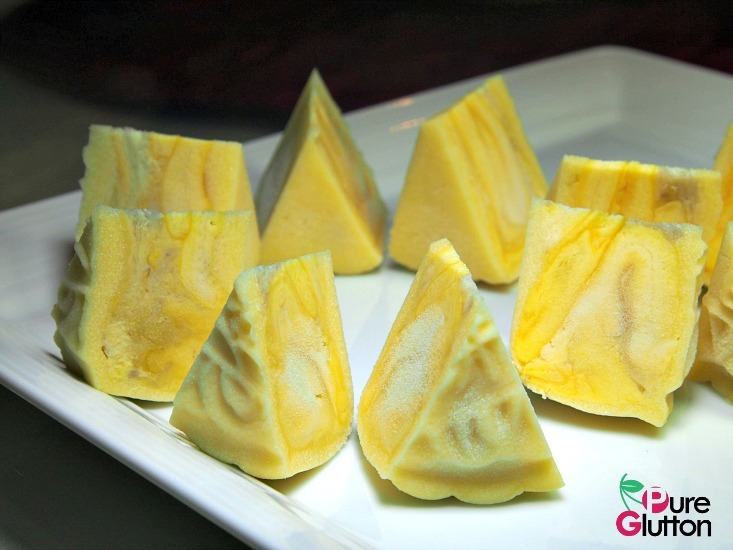 Concorde’s all time best-seller – Snowskin Durian Musang King takes the lead for ‘ping pei’ (snowskin) mooncakes followed by 3 other enticing flavours: yam and egg yolk, dried longan with wolfberries and lotus paste with roselle. 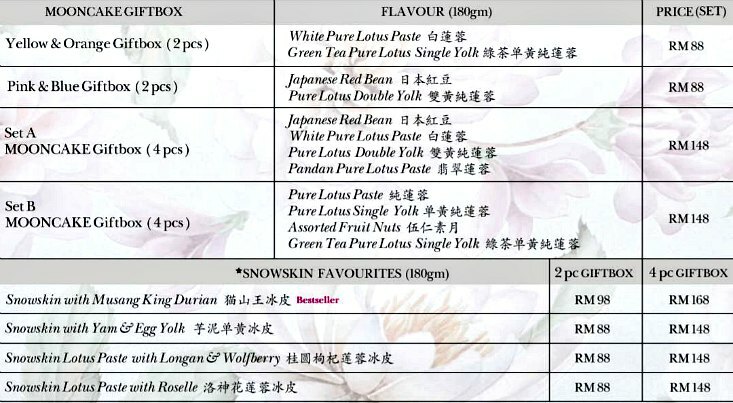 Snowskin mooncake giftboxes are sold a la carte and sets are priced differently. 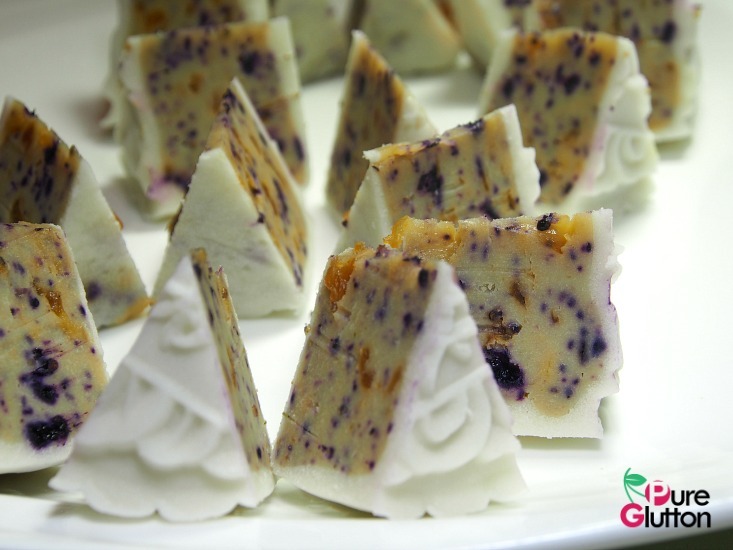 Concorde’s mooncake kiosk is located at the hotel lobby (10.30am – 8.00pm) and also at Mid Valley Megamall (starting from 6 September) until 24 September 2018.